Find a Local Care Planning Council that offers educational workshops and a variety of solutions for seniors and their families. 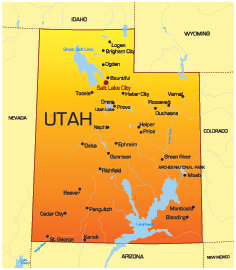 Use the search, map, or area links below (scroll down) to find help where you live in Utah. Although this area is temporarily without a member to assist you we can still help you with any concerns you may have. We can also put you in contact with various elder care services in Northern Utah. Click here to Request Assistance from the Utah Eldercare Planning Council. Although this area is temporarily without a member to assist you we can still help you with any concerns you may have. We can also put you in contact with various elder care services in Utah County / Central Utah. Click here to Request Assistance from the Utah Eldercare Planning Council. Although this area is temporarily without a member to assist you we can still help you with any concerns you may have. We can also put you in contact with various elder care services in Southern Utah. Click here to Request Assistance from the Utah Eldercare Planning Council. The Utah Eldercare Planning Council is a one-stop source of community providers and advisors who help aging seniors and their families deal with eldercare needs. The Utah Council also provide a platform for local staffs - who are senior service providers and advisors - to offer free educational workshops for community groups and local businesses, information and help for employers of caregivers, and comprehensive, "one-stop shopping" solutions to seniors and families through a single contact.